Thiruvananthapuram (Trivandrum) is the capital city of Kerala, India. The Tirvandrum city is blessed with number of higher educational institutions, professional colleges and research institutes. Most of the colleges in Trivandrum are affiliated to university of kerala. You can find the colleges in Trivandrum offering education for decades. 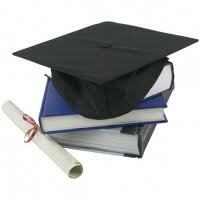 Higher education offered by colleges in Trivandrum are with an aim to impart high standard of education. Colleges in Trivandrum provide education in the field of engineering, arts and social science, law, commerce, medical science, journalism etc. Colleges situated in Thiruvananthapuram (Trivandrum) are Allama Iqbal Institute of Management, Asian School of Business, College of Engineering Attingal, College of Engineering Thiruvananthapuram, Government Dental College Thiruvananthapuram, Government Engineering College Thiruvananthapuram, Government Law College Thiruvananthapuram, Kerala Law Academy Law College, LBS Institute of Technology for Women, Lourdes Matha College of Science & Technology, Mar Dioscorus College of Pharmacy, Mohandas College of Engineering & Technology, Muslim Association College of Engineering, PMS College of Dental Sciences & Research, University College of Engineering Thiruvananthapuram etc. Colleges of Trivandrum offers programs such as under graduate, Post graduate, doctoral and professional programs in various subjects, even specific program in Agriculture and engineering science and technology are provided. Colleges in Trivandrum offer regular programs as well as open learning courses. The faculties of colleges/ institutes of Trivandrum are of high standard. Some colleges in Trivandrum conduct courses on their campuses. The colleges in Trivandrum keep on producing large number of scholars who help the candidates in fulfilling the educational needs through which they can stay connected with the advanced world. Additional facilities provided by the colleges in Trivandrum are Library, Workshops, Laboratories, Extra Curricular Activities, Placement, Accommodation Facility, Canteen, Internet, Computer Lab, Lecture hall, Computer center, Audio video aids, Hostels etc. Get connected to different colleges in Trivandrum which is just a click away. StudyguideIndia will provide you the information as required by you. Information which is provided here is correct. If at all you come across any errors you are requested to kindly let us know. "Following are the list of Colleges in Trivandrum. All Colleges in Trivandrum are divided location wise. We have even listed Colleges in Trivandrum as per alphabetical order making it easy to find the desired college and information on it. If you come across any College in Trivandrum which is not found in our list below, please do let us know by using add in list which is default in our website�.